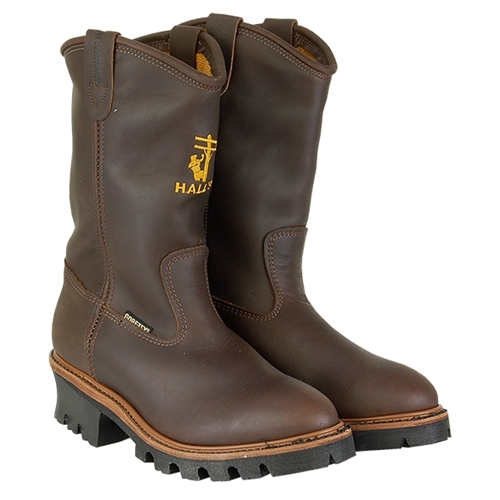 Hall’s western style pull on boot model 628W is designed for linemen who climb. The Vibram® Tacoma lug sole gets plenty of traction and the logger heel works great when you’re in the stirrups. Constructed with a Gore-Tex® breathable liner, these boots are both waterproof and moisture wicking. Built for linemen, these boots have triple-rib steel shanks that are right/left specific for maximum support to foot bed. Hall's Western Style Lineman Boot has a rating of 4.8 star based on 13 reviews.